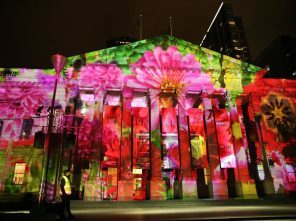 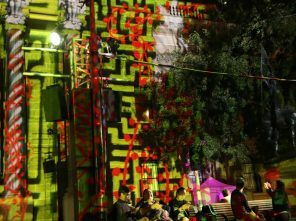 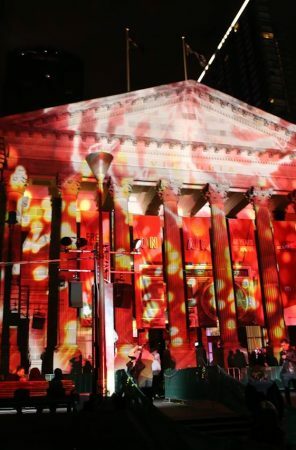 Collaboration with Nick Azidis (PROJECTIONTEKNIK), Rose Staff (RADIANCE) and Lisa Greenway (LAPKAT) for White Night Melbourne, 18 February 2017. 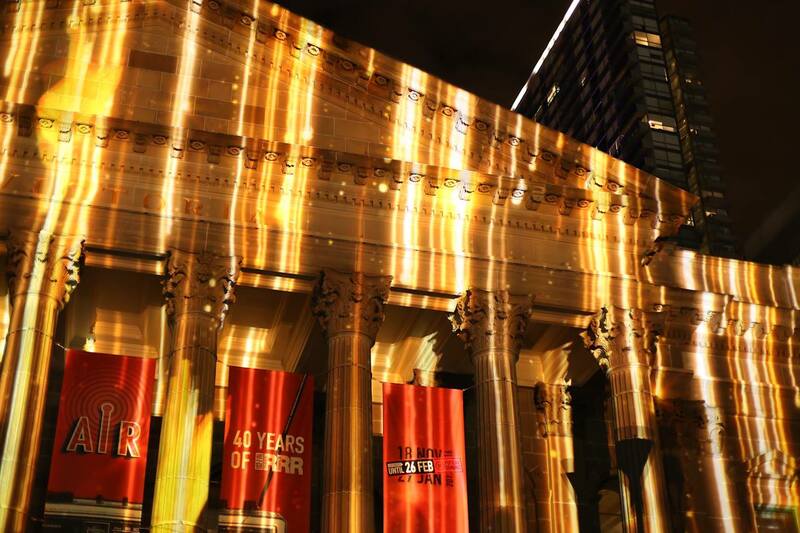 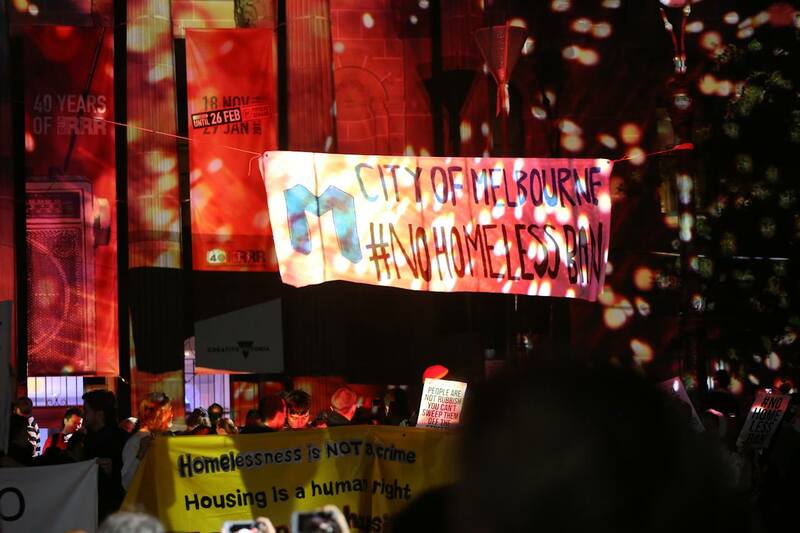 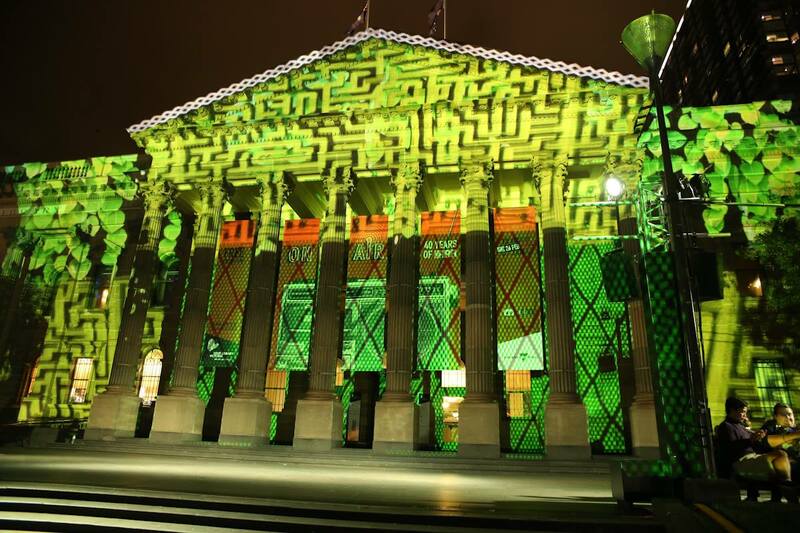 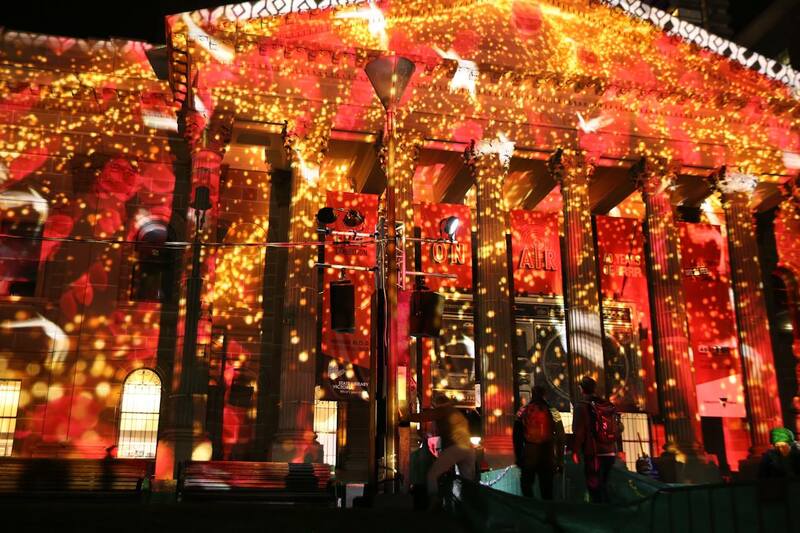 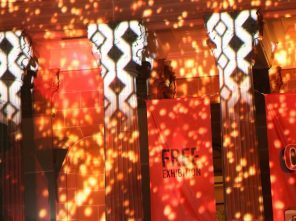 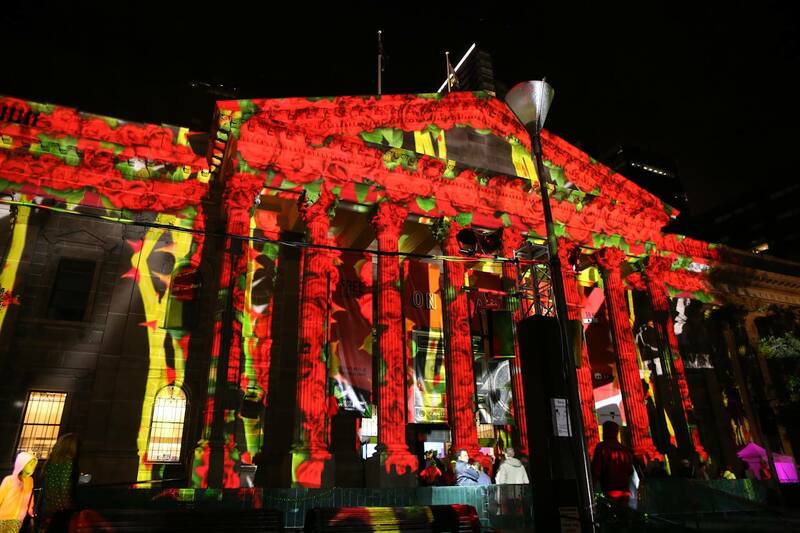 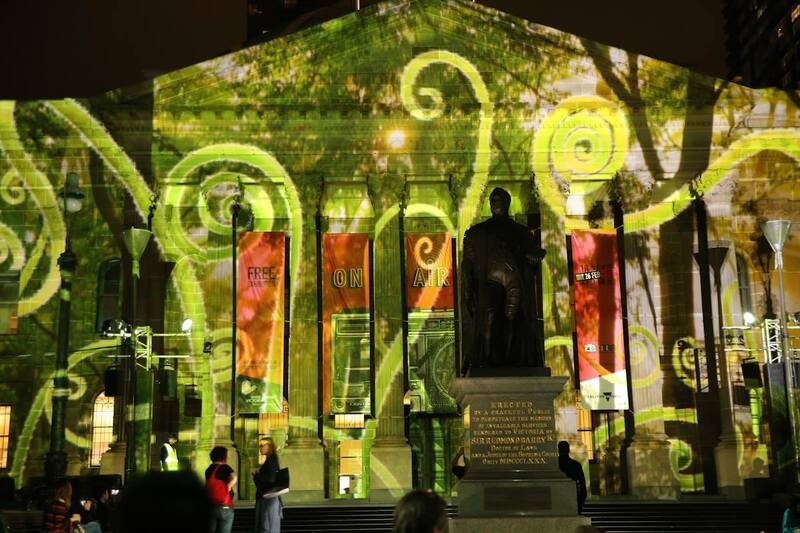 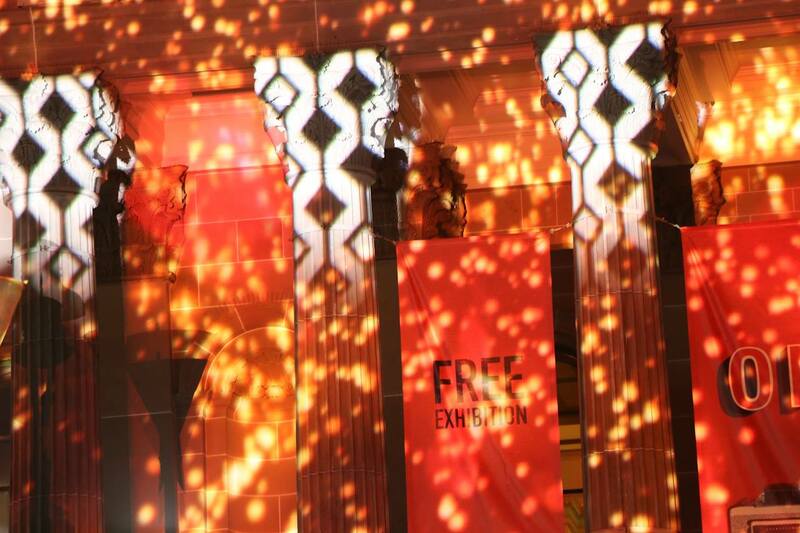 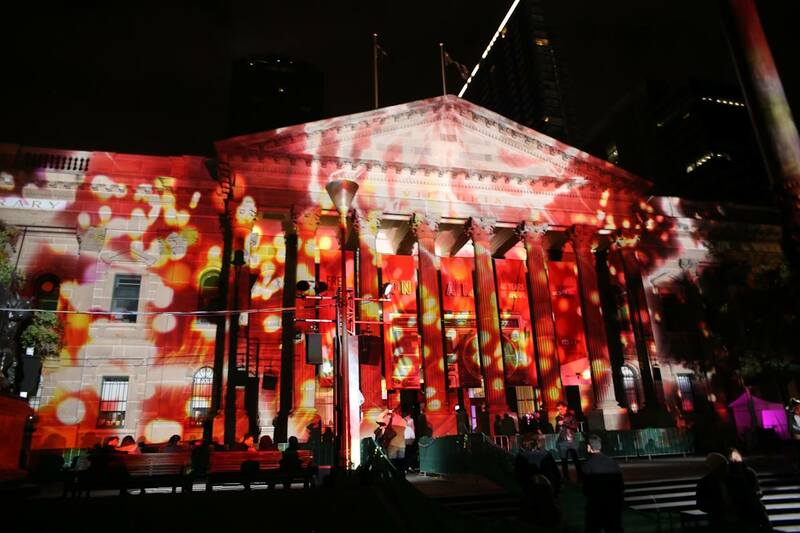 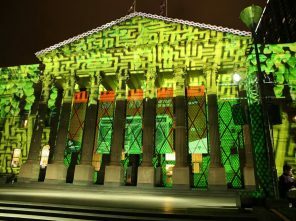 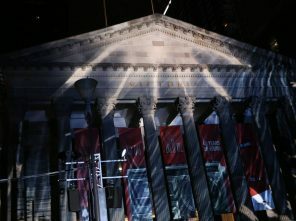 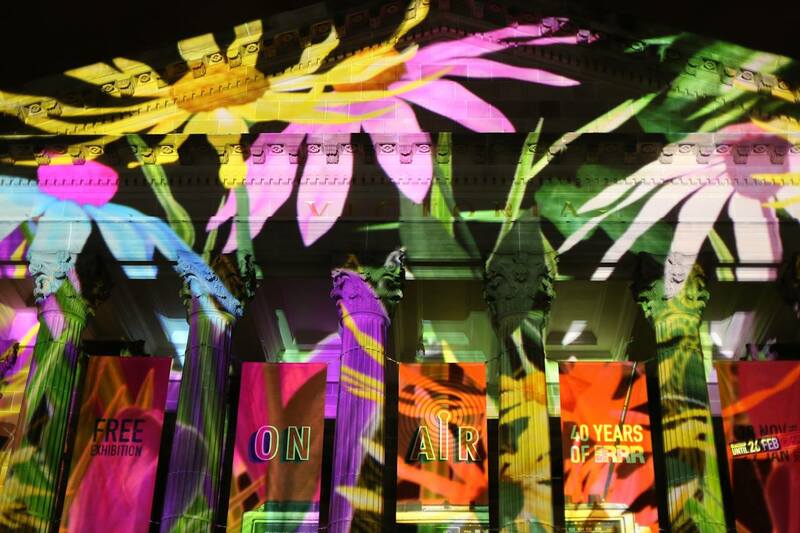 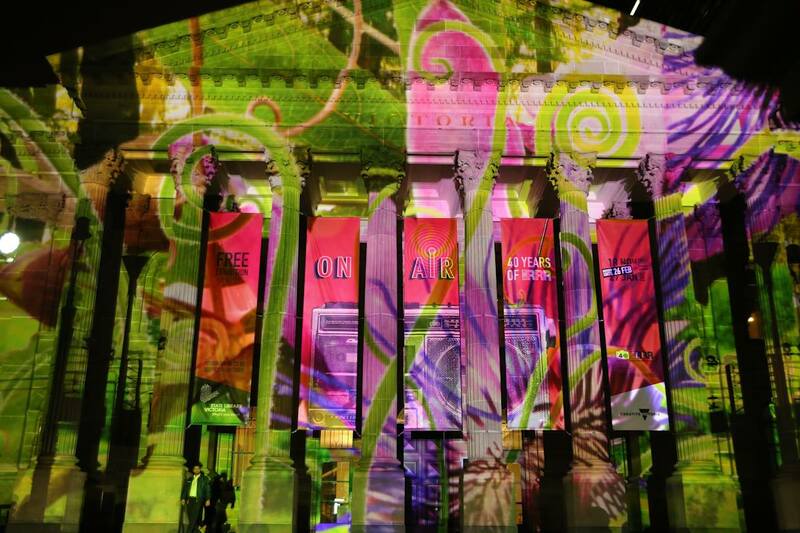 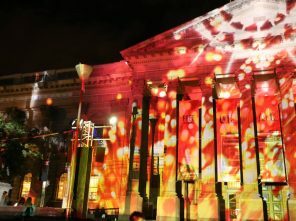 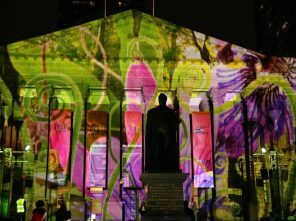 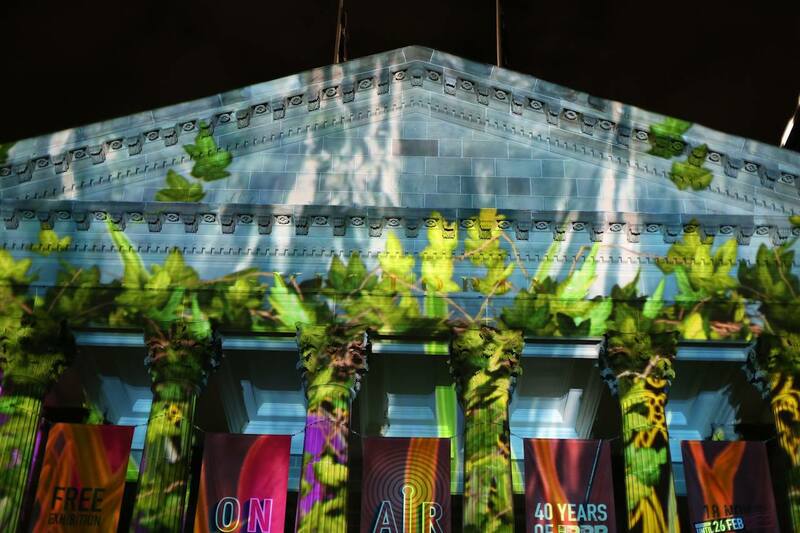 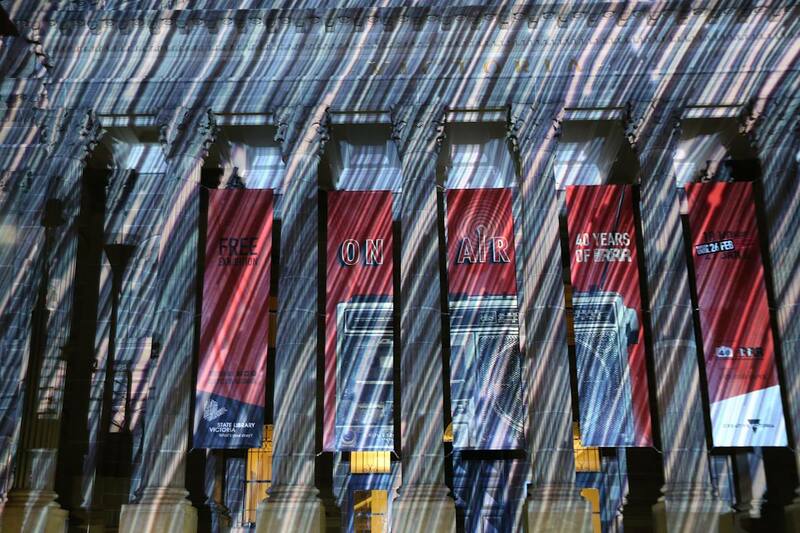 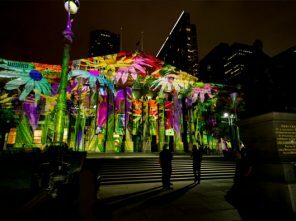 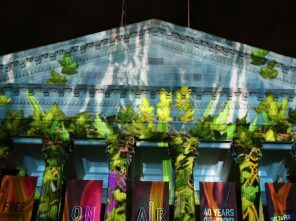 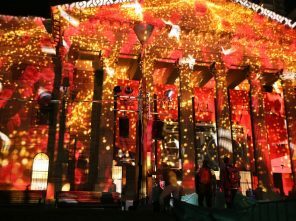 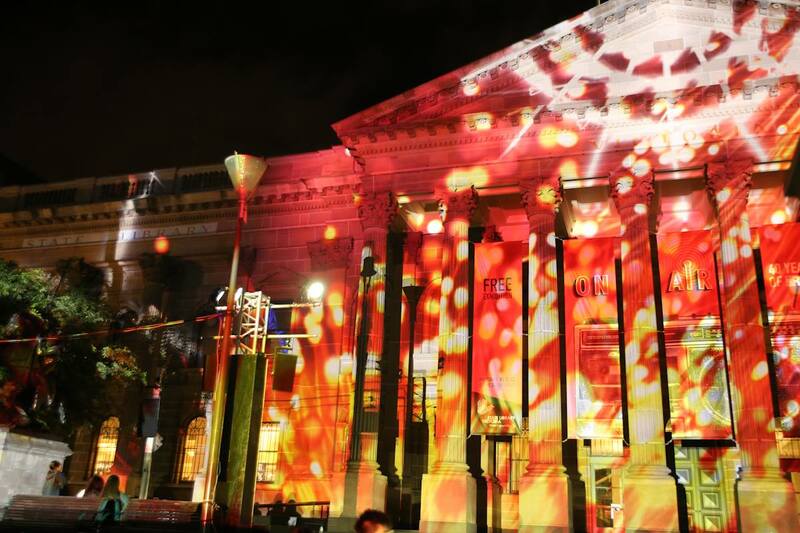 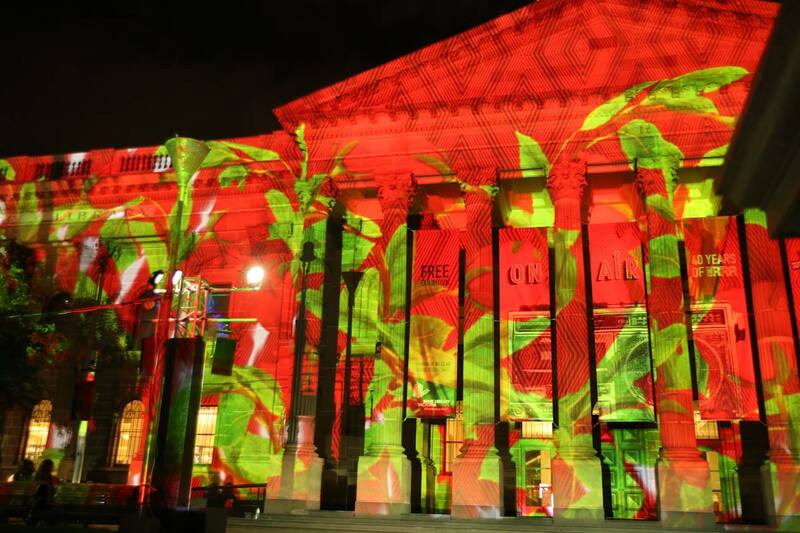 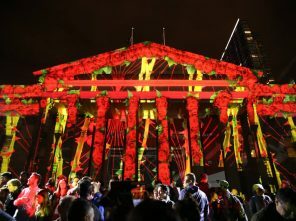 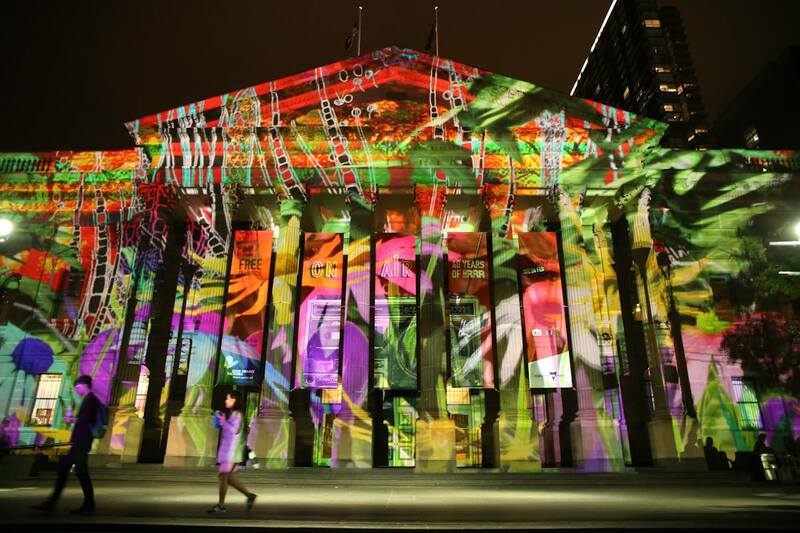 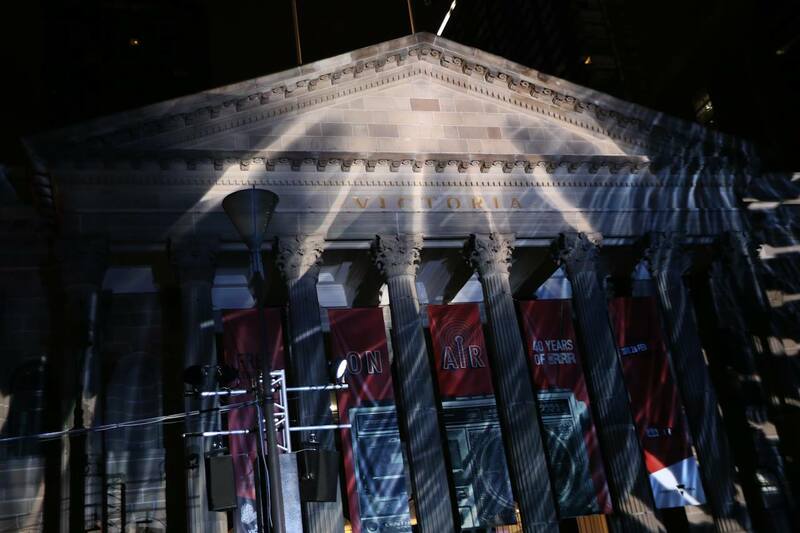 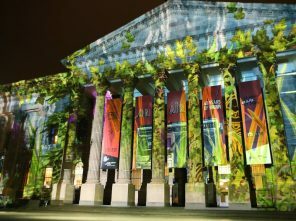 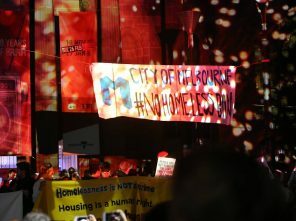 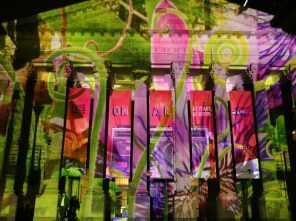 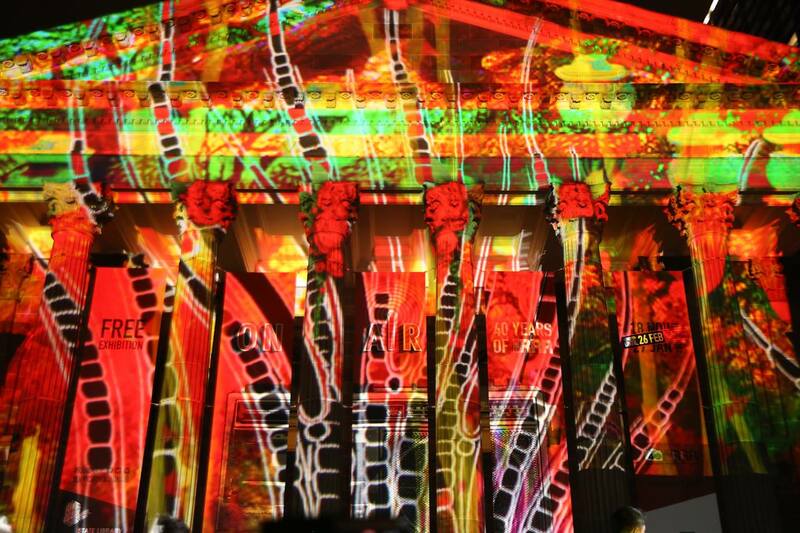 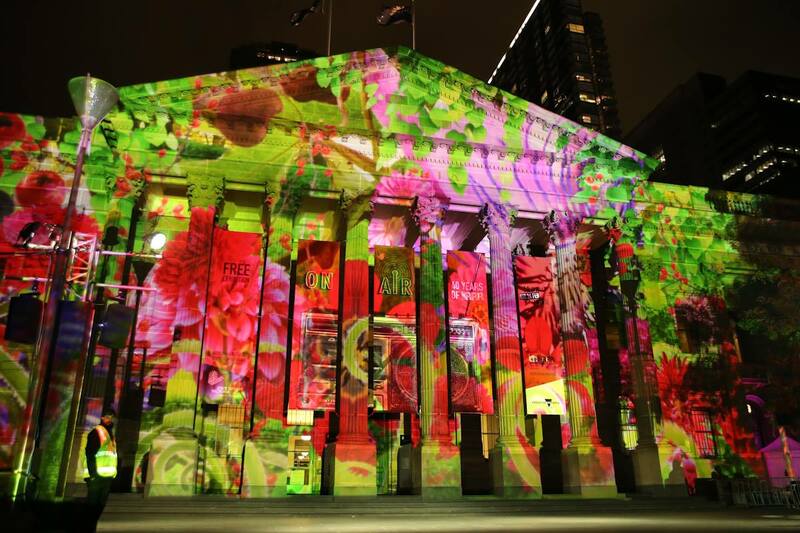 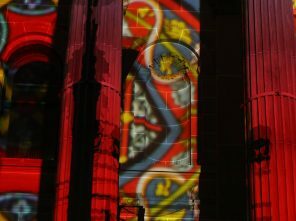 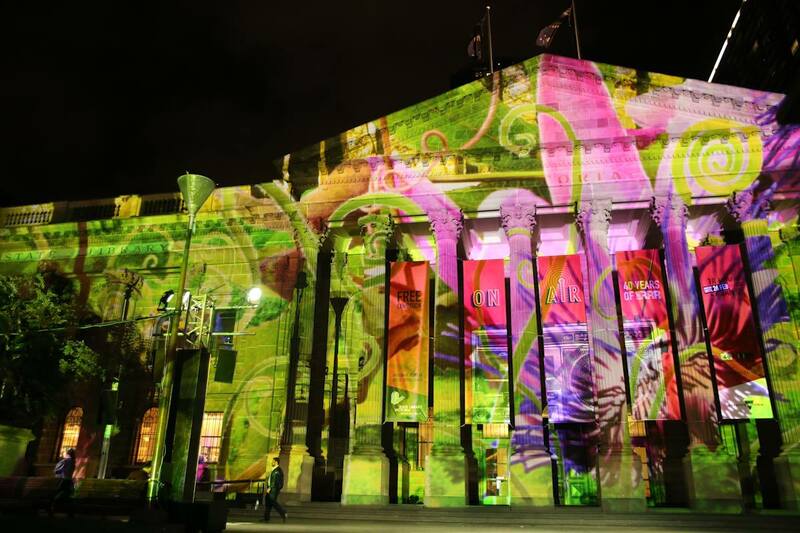 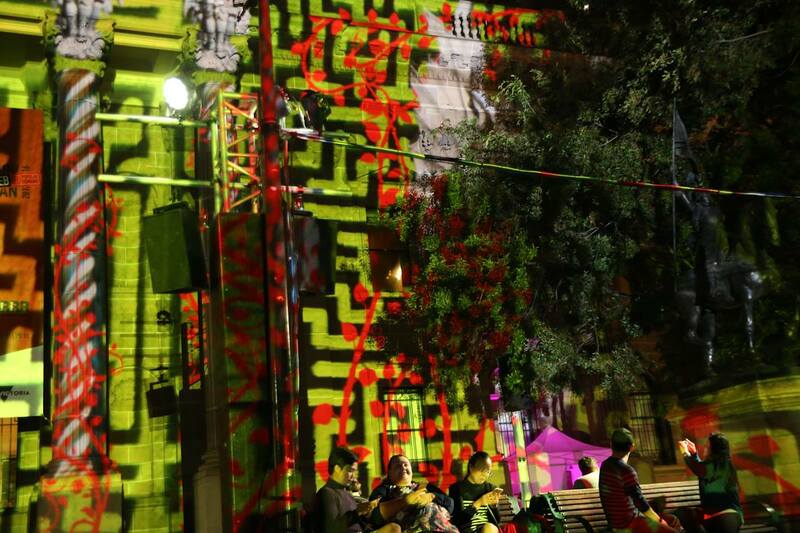 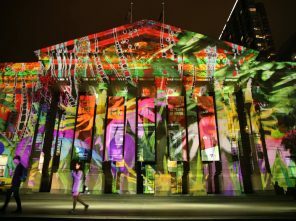 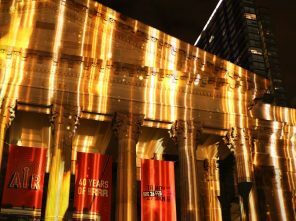 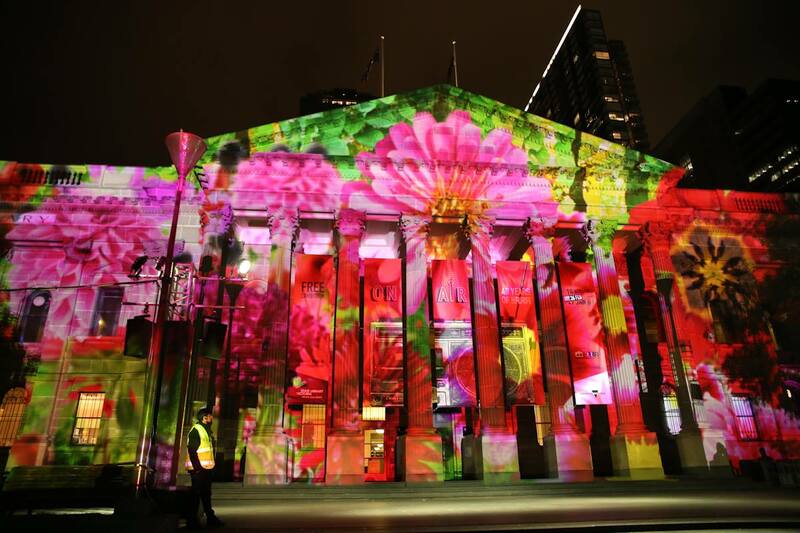 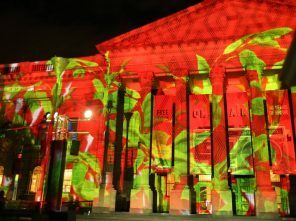 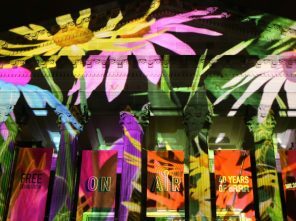 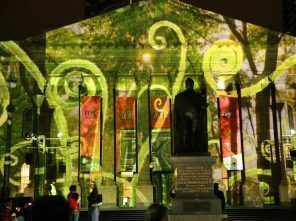 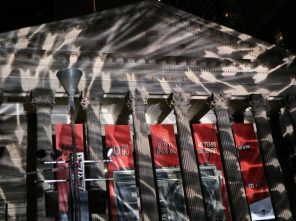 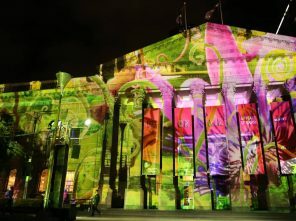 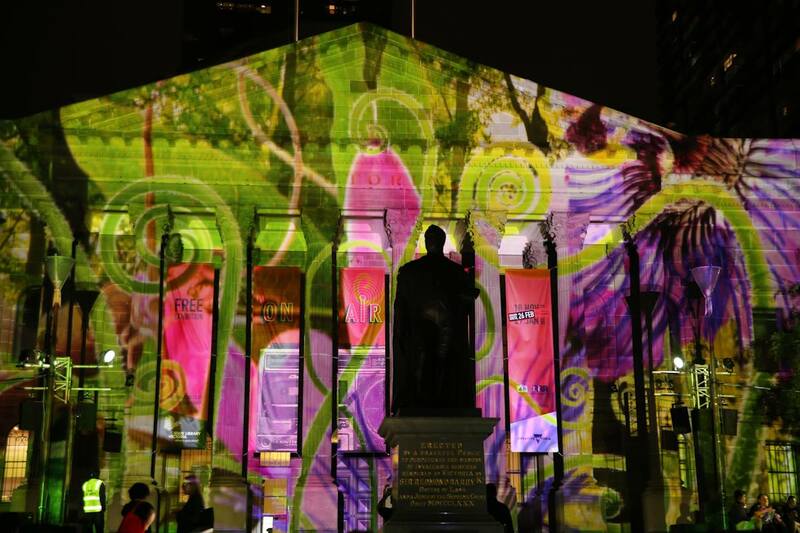 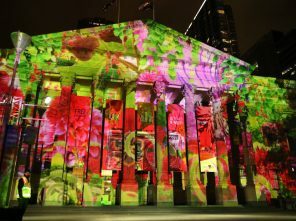 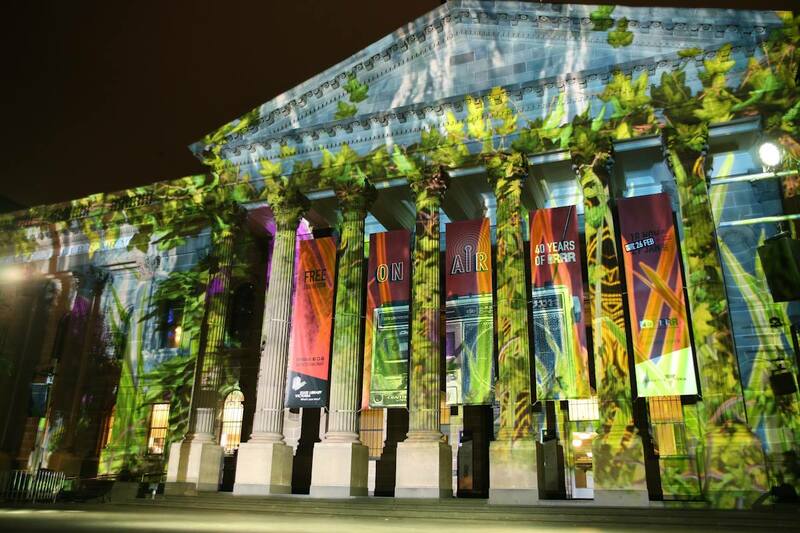 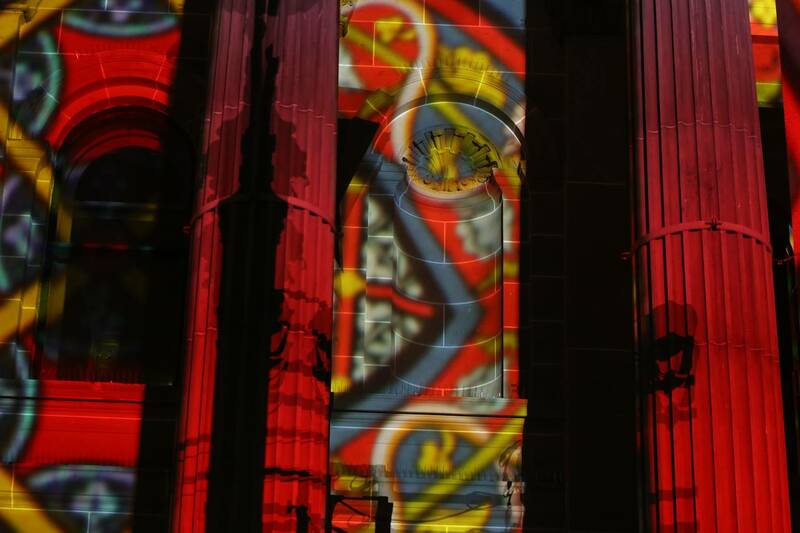 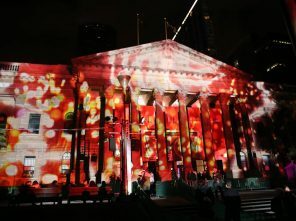 Large-scale projection and multi-zone sound installation in the forecourt of the State Library of Victoria. 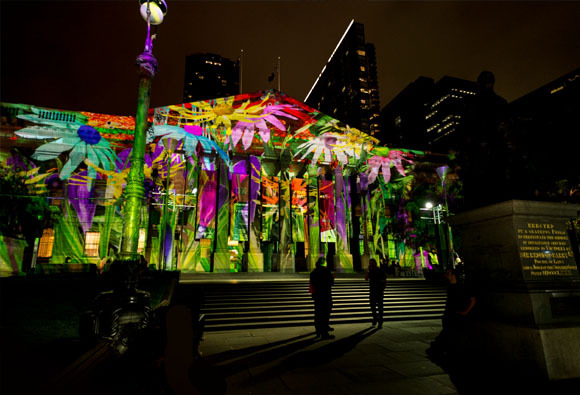 The Night Garden grows out of a powerful dream vision inspired by the influential medieval poem Roman de la Rose (The Romance of the Rose), by Guillaume de Lorris. 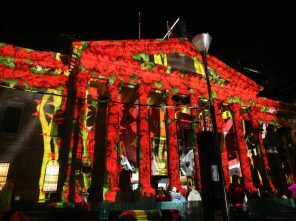 Written by de Lorris around 1230, Roman de la Rose’s purpose is ‘to both entertain and teach others about the Art of Love’. 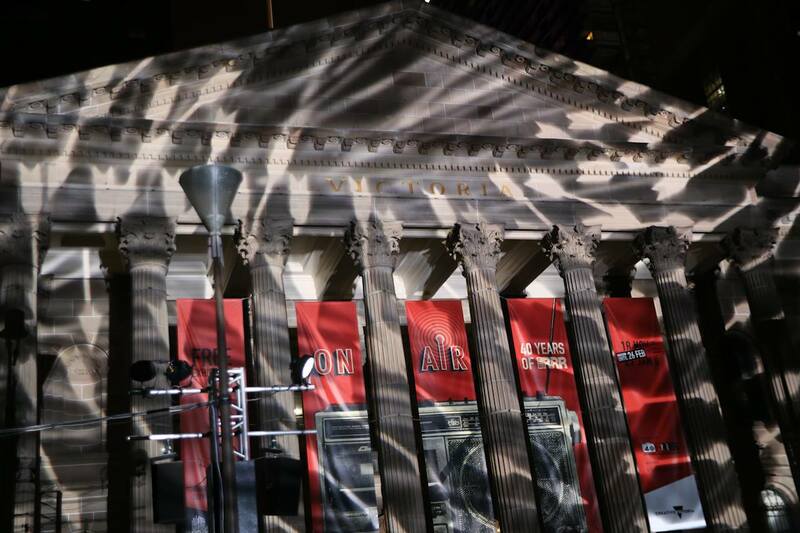 It’s a curious, rich poem open to many interpretations. 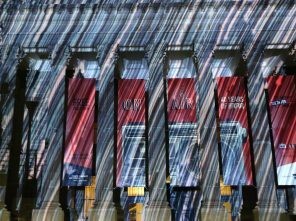 I adapted the essence of Lorris’ original story, discarding the more moralistic (and enormous) coda to the poem by Jean de Meun. 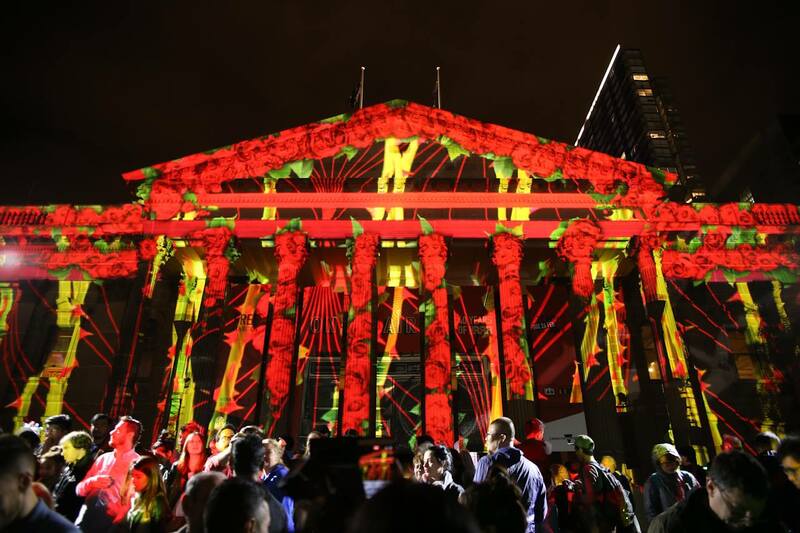 In Lorris’ story, the dreamer enters a walled garden and discovers the Fountain of Narcissus, in which he sees a beautiful rose, and while looking at it, is struck by numerous arrows by the God of Love causing him to fall in love with the rose. 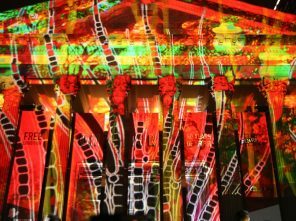 Voice of the dreamer: Thomas Keily. 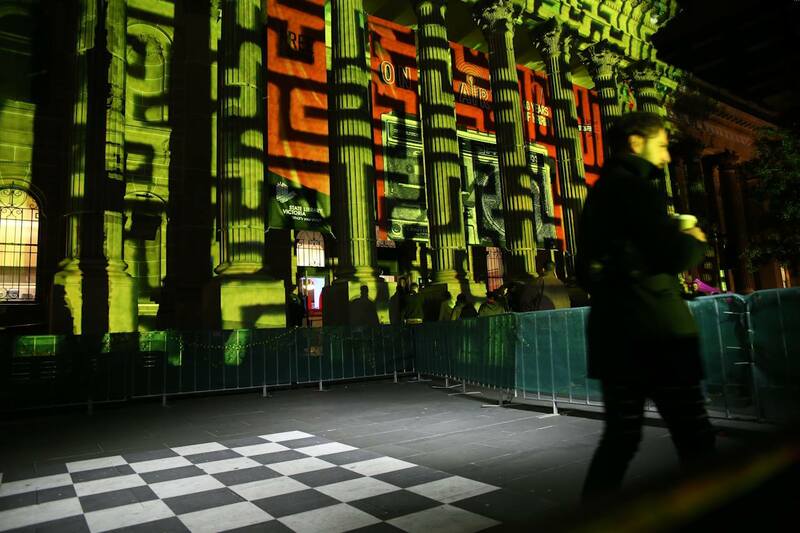 The sound installation was designed with MAV: Designed to create “zones” of sound, in which a different experience was felt, depending on where you stand, with the overall effect of an immersive audio environment in the large space of the forecourt. 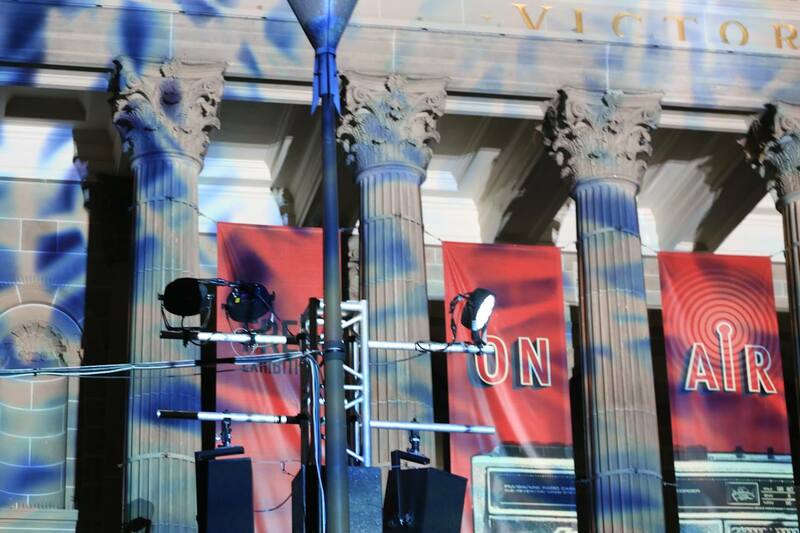 2 main speaker racks left/right of the façade with the stereo mix of music and directional sounds. 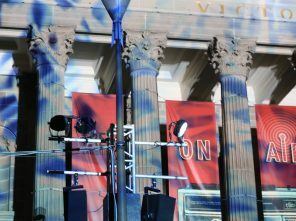 2 left/right speakers in stereo directed sound down the centre of the forecourt stairs, filling in some sound for the main stereo mix and adding additional water, birdsong and atmospheric sounds, plus the voice of the narrator. 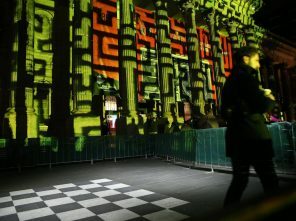 The lawn areas to the left and right of the stairs were covered with 3 speakers each, each lawn with a different mix of birdsong and atmospheric sound, and the voice of the narrator.